I am going to go ahead and put up the download and the basic instructions for the CD calendar. In the week I hope to sort out an instructional PDF and maybe a YouTube video doodah for it but I am hoping this will be enough for you to make one yourself, if you are anxious to get started. I may do another 2-a-page version of the CD calendar, perhaps back to my original design, to accompany that. 1. Start with your CD case. The size inside is standard, but there are infinitesimal differences in the outside measurements, depending if the case is smooth and flat or with a ridge around it. 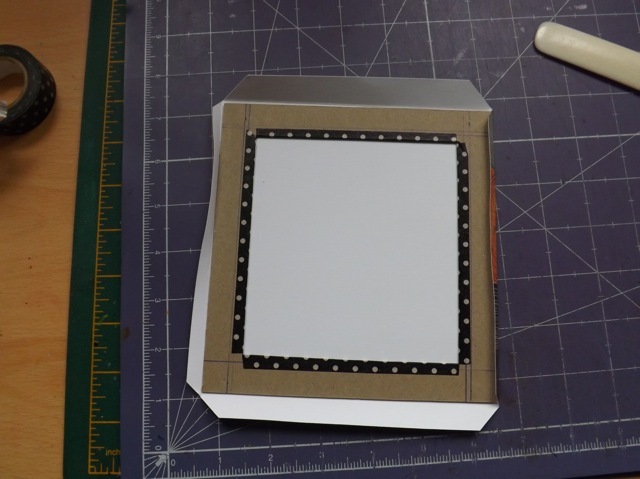 They are MINOR differences but I think it best to describe how to do it using the CD cover YOU are using rather than say Cut a piece of cardboard to X by X and have it be off a smidge. Disassemble the CD case carefully – be especially careful not to damage the little wings on the cover part, with the little pegs that hinge the lid to the body. 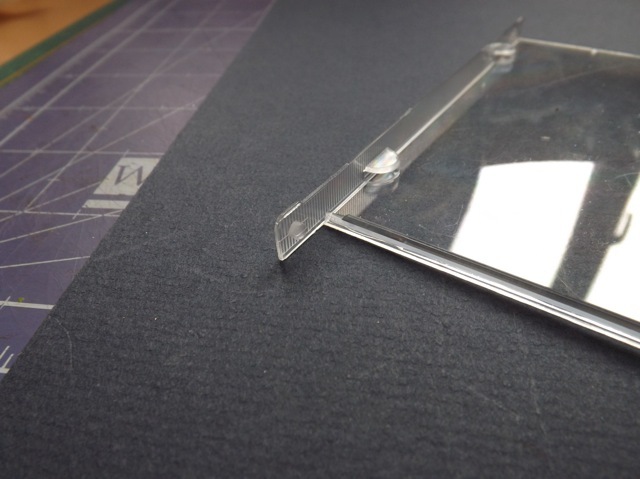 Lay the cover on to the card with the little wings against the bottom edge. Draw a line 1/2 inch out from the sides and the top edge. Cut it out. This will be your frame. 2. Mark and cut the aperture. 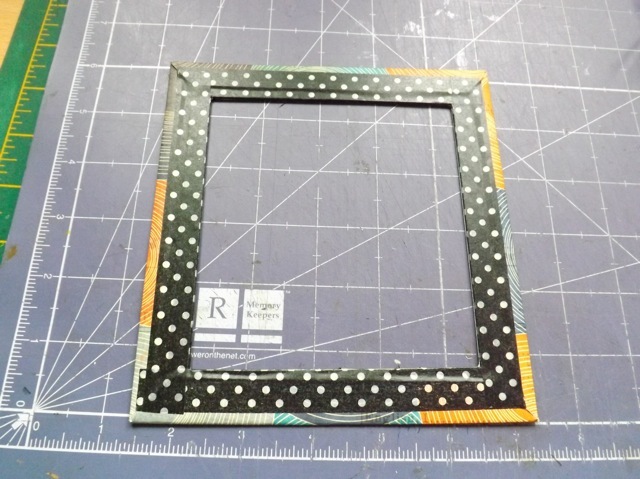 Measure 3/4 inch in from each edge (including the bottom edge this time) and draw the box. 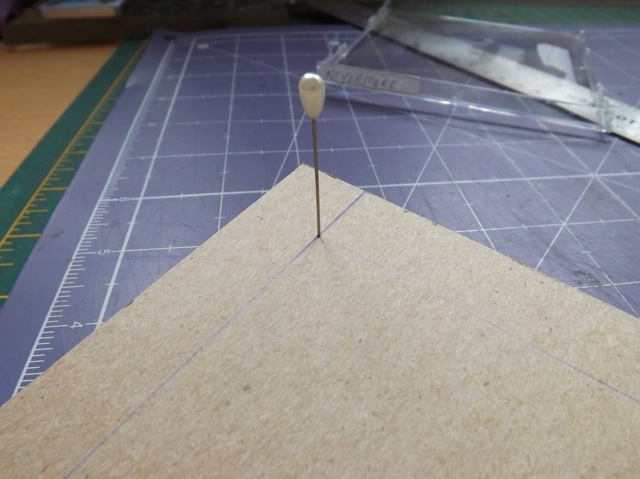 Using a pokey tool of some kind, poke holes at the four corners (it’s just a nice little trick that I find helps stop your craft knife from going past the corner) then cut it out. then stick the paper to the front, wrapping it to the back and doing a mitered corner. Then I re-cut the aperture You may have a better way. I just covered the paper edges on the back with a bit of Washi tape as my piece was a scrap and not QUITE big enough. This just finishes it off nicely. 3. Print out my CD Calendar printables. You don’t HAVE to use mine – any printable that you download or make yourself will work. 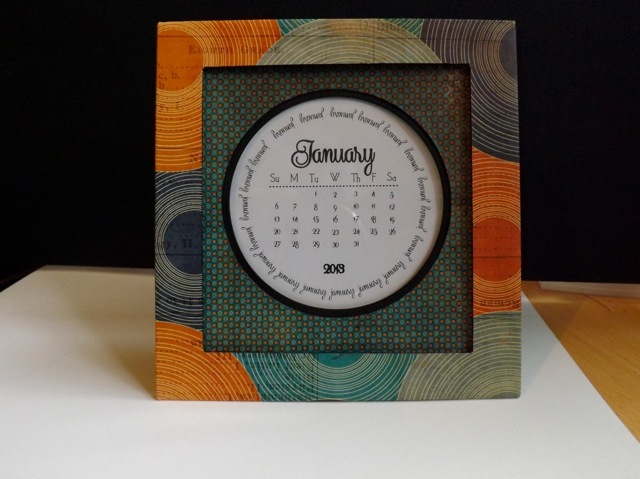 The key is the month “pages” need to be not only the exact size for fitting into the CD case, but the calendar block must be positioned in exactly the same place on the page. Mine are meant to be cut just inside the grey frame. Here is the BLACK circles and here are the BROWN. Cut at least one to size NOW. You’ll need it in a bit. 4. 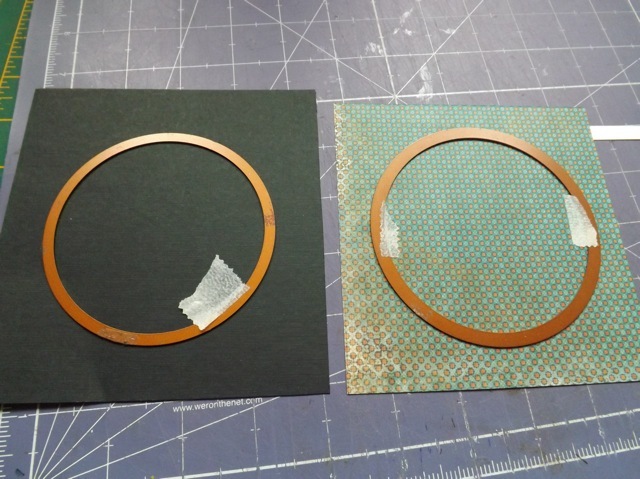 Cut a piece of patterned paper or cardstock about 1/2 inch bigger on all sides than the front of the CD cover. This is the same piece you used to measure in step one, with the wings. 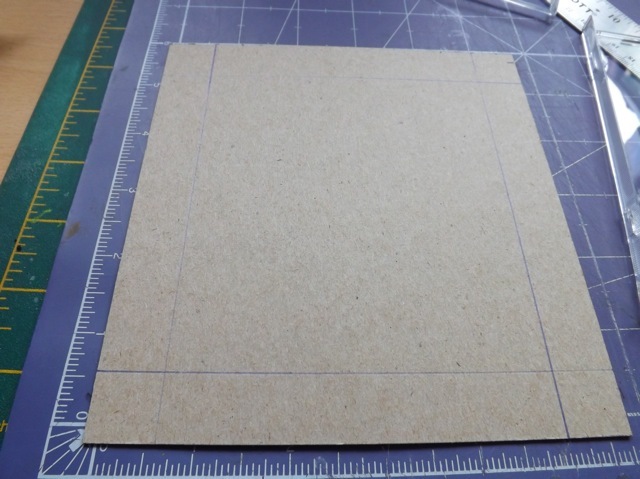 Cut a second piece of cardstock in a contrasting colour the same size. I used black for this. 5. 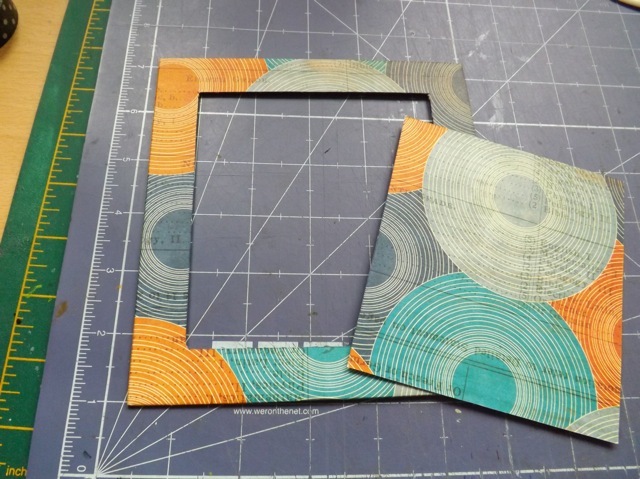 Cut an aperture in the center of the patterned paper – I used the largest of the Nesties Standard Circles Large dies. 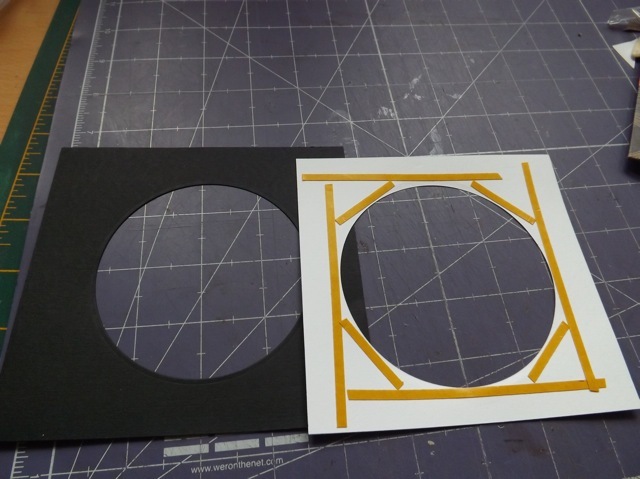 Do the same for the mat cardstock, using the Standard Circles Small, largest die. Match the holes and stick the two pieces together, right around the openings. 6. Slip one of the month blocks into the CD case, behind the cover, where the half-circle tabs are to hold it in place. 8. Decorate your frame. As you see I didn’t manage this step yet, but I didn’t want to delay posting the rest of it till Tuesday. 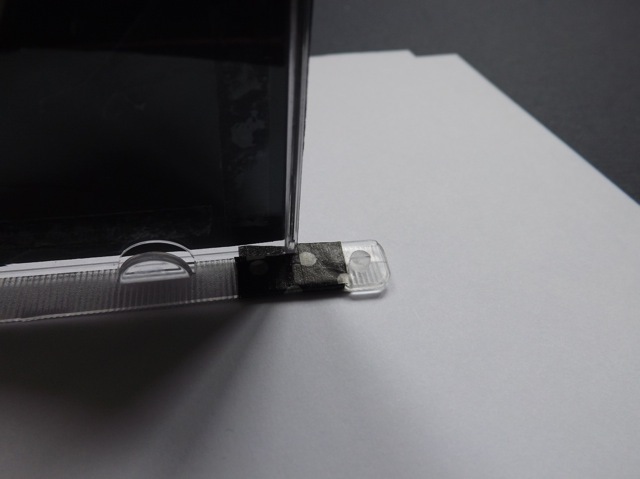 Add 1/4 inch double-sided adhesive to the back of the frame, around the aperture and stick this over the circular aperture piece. To use, reassemble the CD case by reversing the cover so the pegs are in the little holes, but the base has the inside of the case backwards so it sits flat on the desk. This will make the CD case stand up for display. 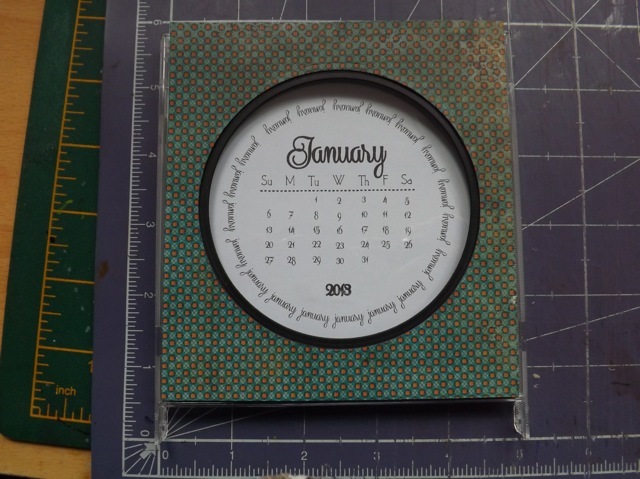 An ounce of prevention: The weakness of CD calendars is those little wings with the pegs. They are prone to snap off. Trust me. 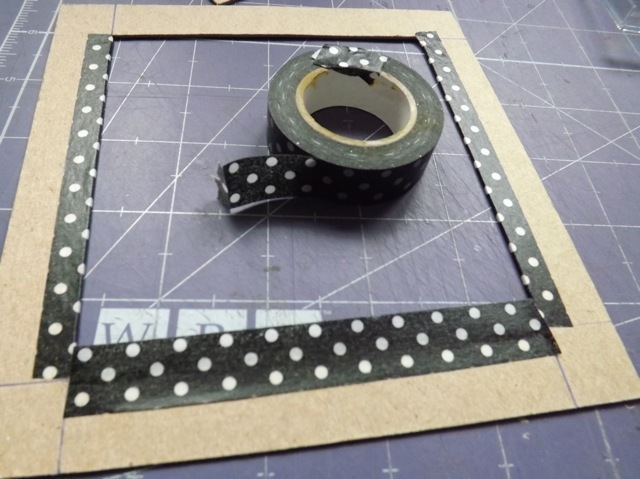 I like to add a little strip or two of Washi Tape at the weakest point. It doesn’t affect the working of the calendar but may just help support the wings. 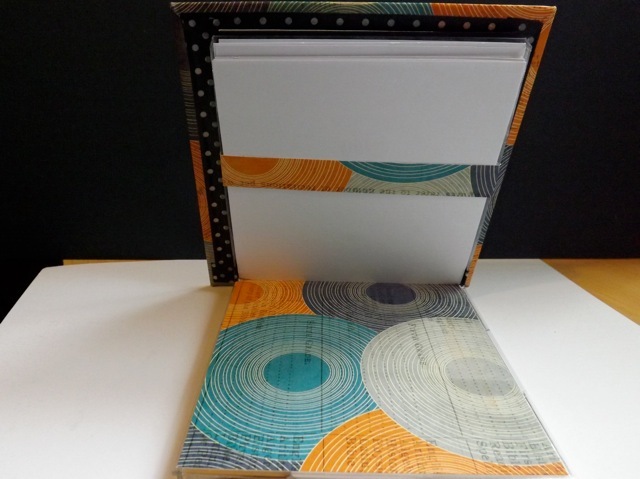 What you see here is the BACK of the CD case (covered with the patterned paper) and the INSIDE of the case. If you set it up like this with an empty CD case you may see better what I mean when I say reverse the cover! You can sort-of still close it up but the extra thickness of the sheets stored inside may make it so the case won’t closed completely. Just wrap a ribbon around it to hold it all together. 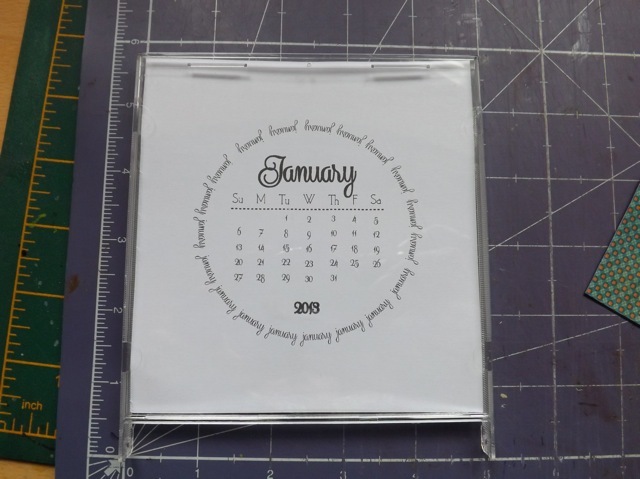 I hope you like the idea – it really isn’t a LOT more work than a standard CD case calendar but I think it looks so much prettier. I think there are 100s of variations you can bring to it! And if you make one I really, really want to see it. Categories: calendars, downloads, printables, tutorial | Tags: calendars, how-to, printables | Permalink. Thank you so much for sharing. They both look great. I will try them. Thanks so much for the 2013 calendar files. Will put them to good use. thanks as always for sharing. Thanks so much for the measurements! I can’t wait to try this out. Thank you so much for this tut. It is on my work desk for this week, hopefully, and will certainly let you know when it is up on my blog.